Time for another I Pinned it, I tried it Link-Up party! 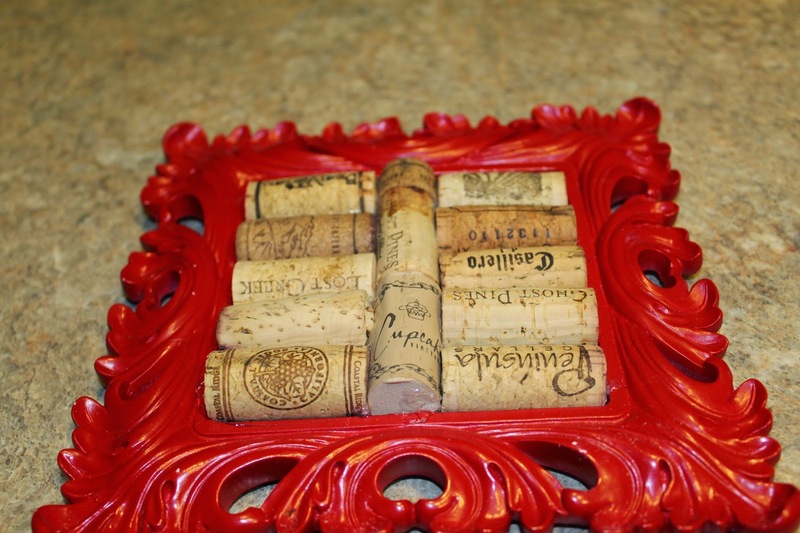 This week, I'm going to show off my wine cork trivets that I made a few weeks ago. I actually didn't see these on Pinterest, but I have been inspired by man pins I've seen, including these from Etsy. 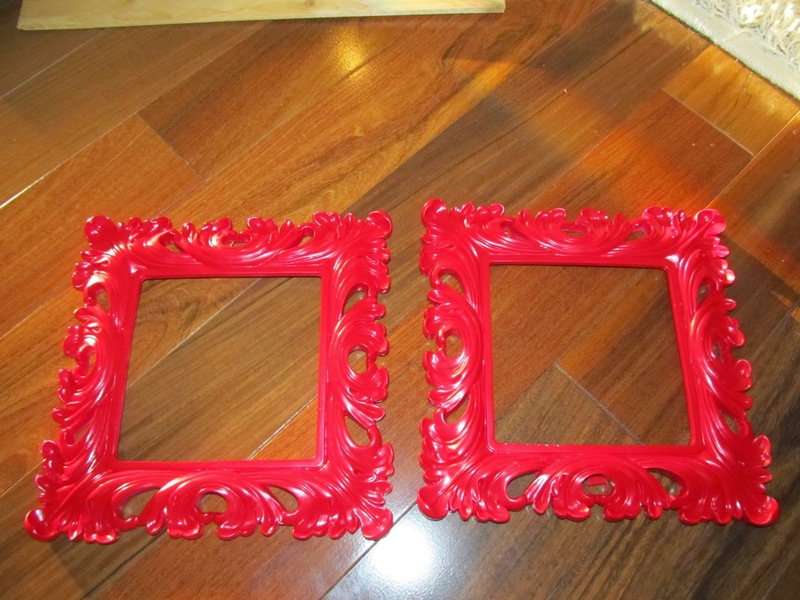 I wanted my trivets to match my kitchen so I spray painted them red (they were white when I bought them). Once they were all coated in paint and dry, it was time to get to work! 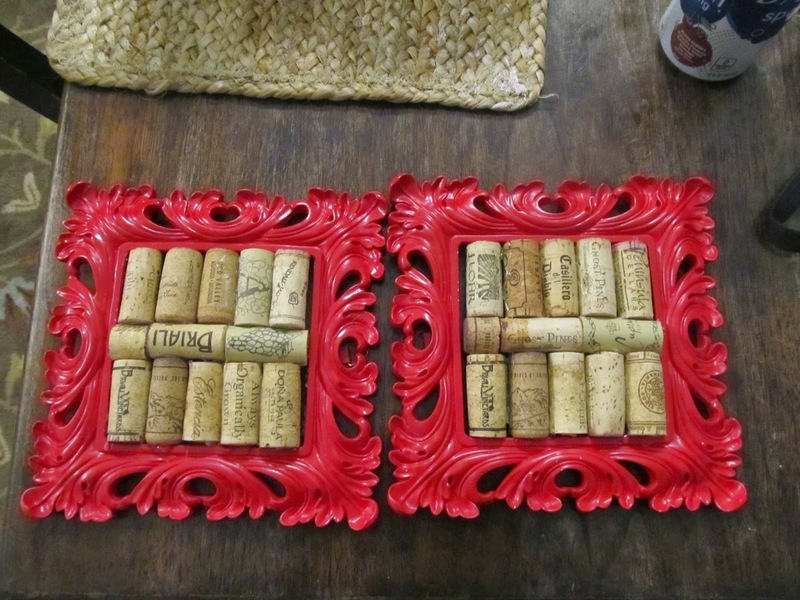 First, I figured out how I was going to fit my corks into the trivet frame. Of course, it wasn't a nice, snug fit so I had to cut one in half and kind of use the hot glue as a filler. 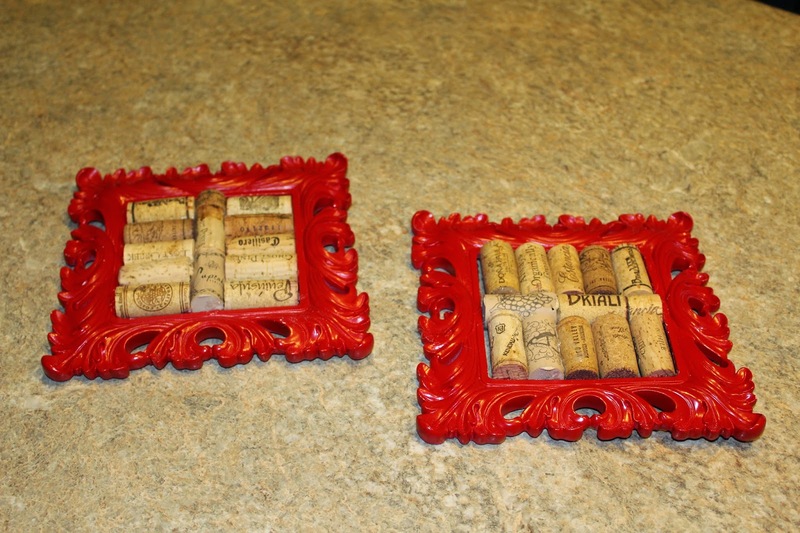 Once I had the corks where I wanted them, I started gluing. And, I only burnt myself like 3 times. That's an improvement!! 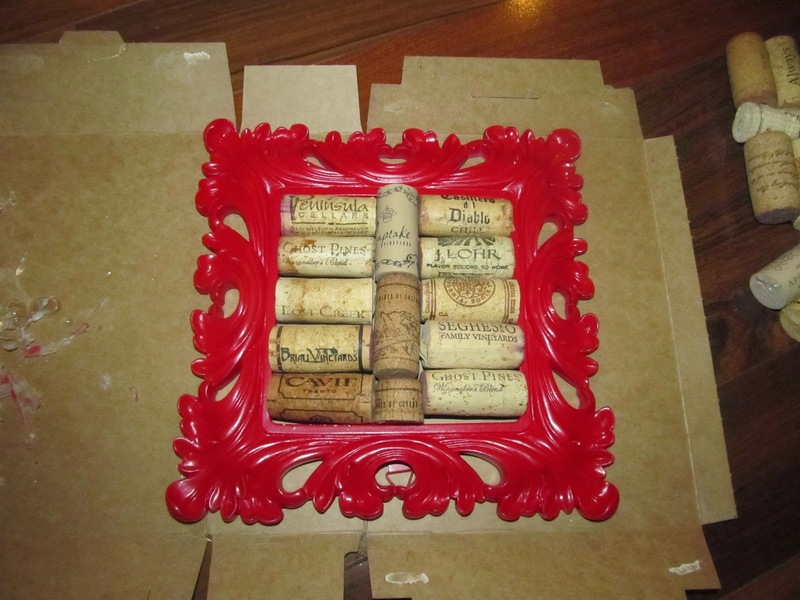 Once all of the corks are glued in place, it's time to let it dry. 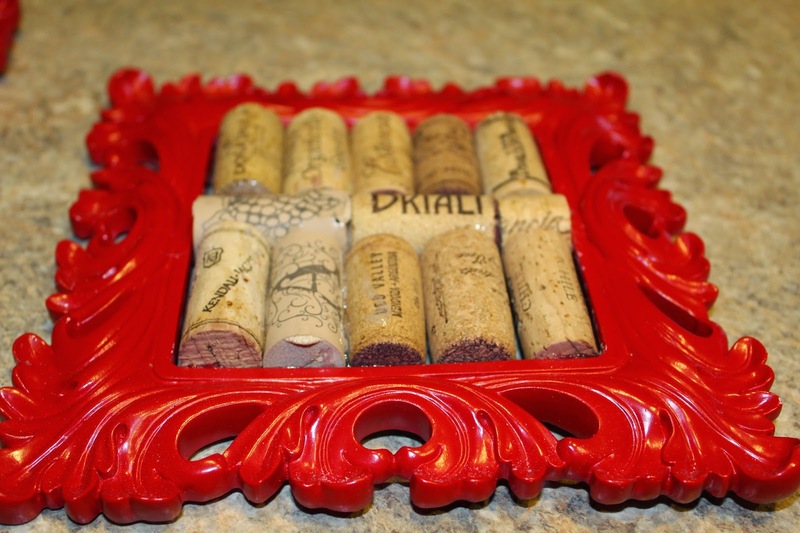 Be sure that there's no excess glue on the bottom of the trivet so it doesn't get stuck while it's drying. Once they have dried, put them to use! I love that they can be any color you want. They aren't perfect (I'm a sloppy gluer, remember? ), but I still like them! 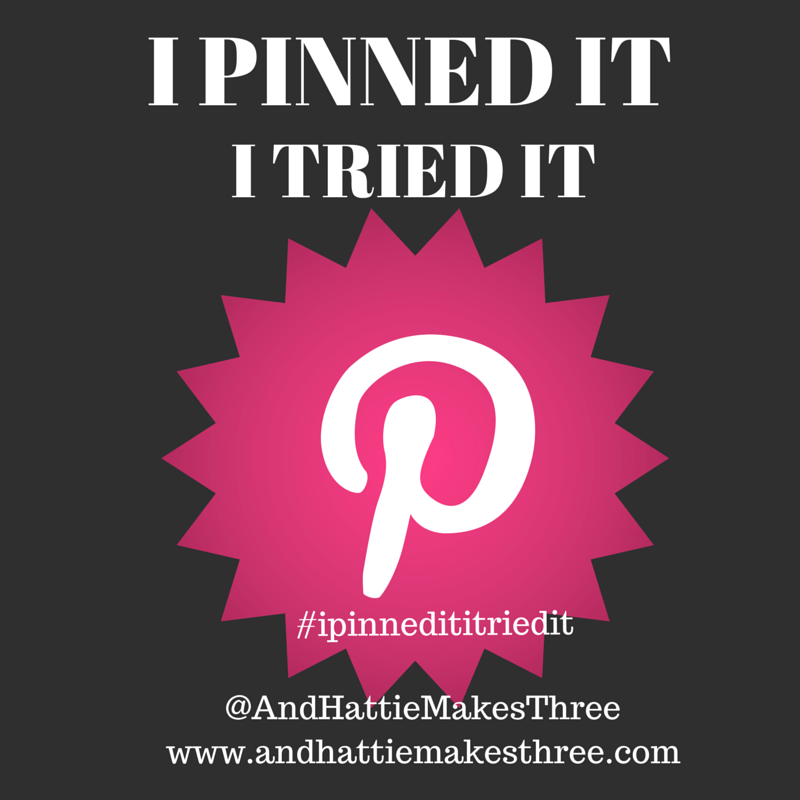 I'm linking up with Jen over at And Hattie Makes Three for her weekly I Pinned It, I Tried It Linky Party. Join in the fun!!! Check out my Pin There, Done That board on Pinterest to see other pins I've tried!